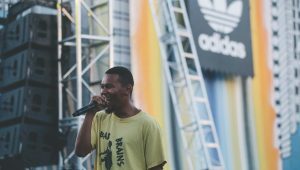 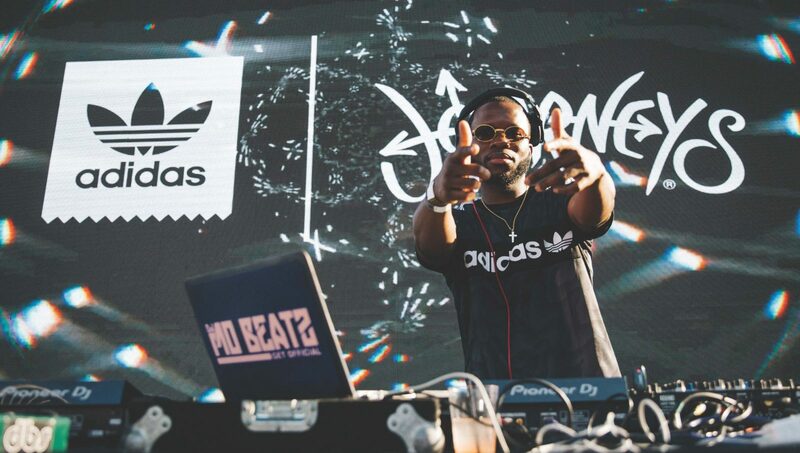 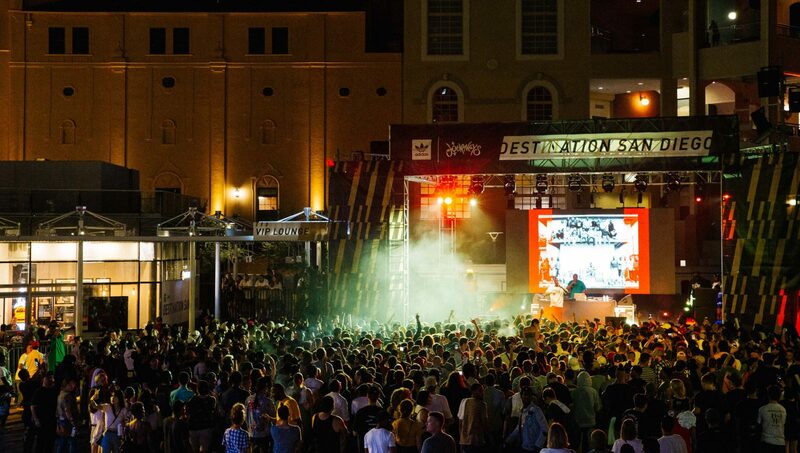 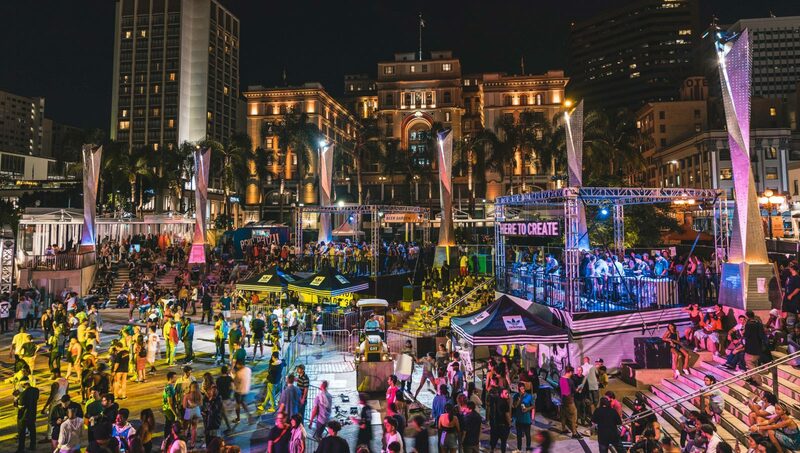 Presented by adidas and Journeys, and produced by Starch Creative, Destination San Diego is a FREE one-day music and experiential festival which took place at Horton Plaza Park in The Gaslamp District of Downtown San Diego on August 11, 2018. 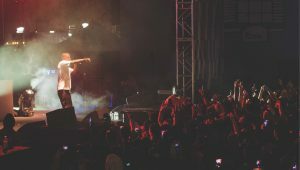 The event blended live music with unique art pieces and consumer activations. 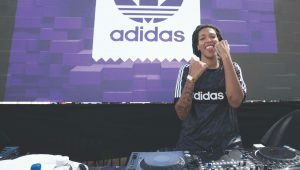 Upon entry, attendees could immediately interact with a forty-foot tall paint wall, which distributed paint where they chose via an electronic control panel at the base of the mural. 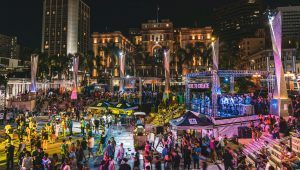 This unique piece was a day long, community fueled, evolving art installation that changed from the beginning of the afternoon throughout the night. 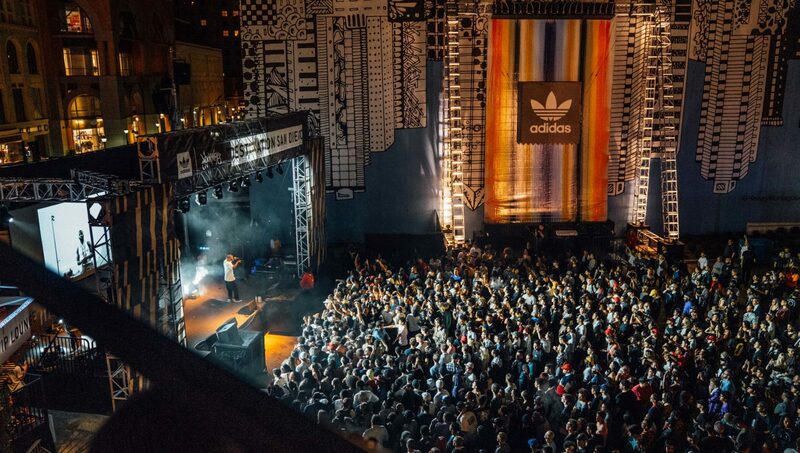 From there, guests had an opportunity to utilize Bonethrower’s unique artwork to create one-of-a-kind, steamroller pressed lino prints, and digitally design their own custom tee shirts. 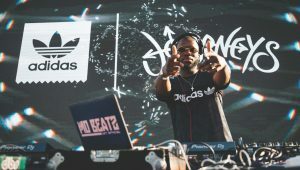 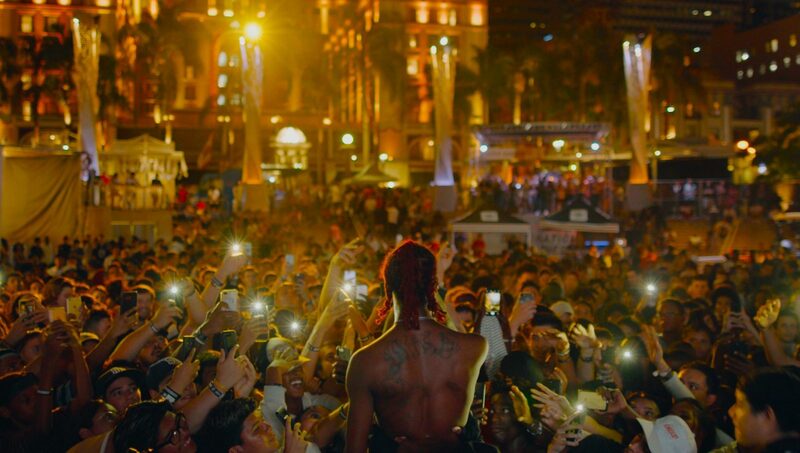 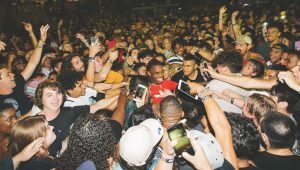 Throughout the entire event, music from Cozy Boys, Na-Kel Smith, Famous Dex, and Jay Rock pumped through the Summer air, laying way plenty of dancing and cooling off with libations in the beer garden.